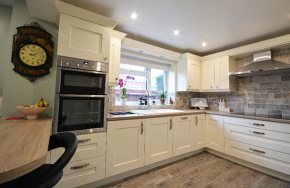 Here at Holmfields we design, manufacture and install fitted kitchens, bedrooms and home studies to a high standard. We are a family run business located on the outskirts of Leicester City Centre. Our planning and design service can help you visualise your requirements for fitted furniture. We pride ourselves on our excellent team of people who can provide you with ideas and suggestions based on years of experience. From ideas to reality we are there every step of the way from design to installation. 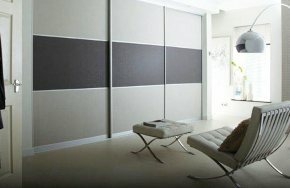 Our furniture is manufactured locally at our factory using latest manufacturing techniques to provide high-quality furniture and we are known for our excellent customer service. Whether you have a clear idea of your requirements or have absolutely no idea, our designers can help you by discussing your requirements and using our computerised drawing software to help you visualise how your furniture will look. We offer a measuring service and personalised quotations for your requirements based on your individual requirements. 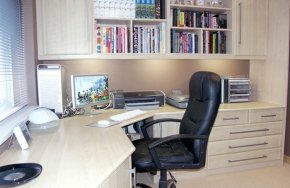 We design kitchens, wardrobes and offices for your home and can offer advice and design ideas to suit your home. We offer our services throughout Leicester and Leicestershire, so feel free to give us a call today to discuss your ideas and see what we can do for you. You can visit our showroom in Leicester to gain ideas and inspiration and see our quality fitted kitchens, bedrooms and studies for yourself.